This class series is designed to prepare couples to move through the labor process in an informed way. The classes are designed to help expectant parents understand the stages of giving birth, what options are available to them and how to make their own best choices. Every week couples will learn hands on comfort measures to help a woman through the labor process and the class will spend time working in small groups so that they get to know one another. This eight week long workshop empowers couples to have a family-centered birth in the hospital or home setting. This class will provide you with the resources and support you need to confidently and consciously prepare for birth and your transition to parenthood. Each week's class will focus on a particular topic such as the stages of labor, how to address fears and concerns of giving birth and becoming a parent, partner support and communication during the birth and how to care for your newborn. Every week couples will learn hands on techniques to help them during labor. Included in this series is a comprehensive Breastfeeding Basics class. 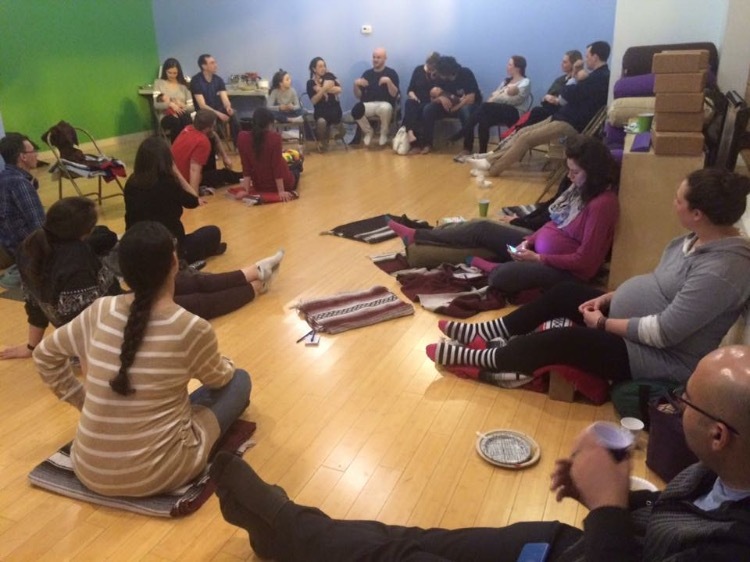 The final session will be a potluck celebration where couples from previous classes come back with their newborns to share their birth stories and parenting experiences. Childbirth Prep is appropriate at 20 weeks and beyond. Contact Natalie or call Bloom at 773-463-YOGA with any questions. 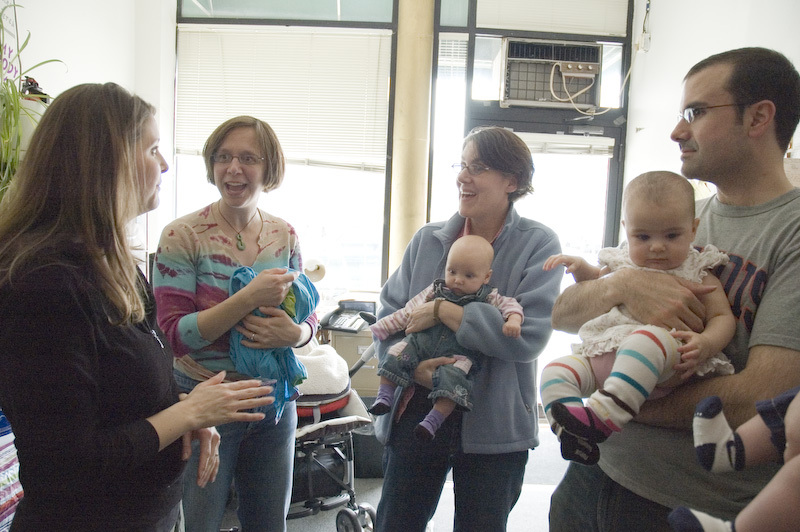 This one day, 3 hour class is designed for pregnant women and their labor support partner. Through both discussion and experiential learning, couples will learn a variety of tools to help them through the birth process. The topics covered are: the stages of labor, what the laboring woman is feeling both physically and emotionally through each stage, when to go to the hospital, hands on ways to help woman through her contractions, ways to manage back labor, how to be a good support person to the laboring woman, massage, breathing, positions for labor and birth, visualization, the use of heat and cold, and positions and comfort measures for the pushing stage. This one time, 2 hour class will help couples learn the basics of giving birth and some comfort measures to move through the contractions. Come learn about what birth and postpartum doulas do and get your questions answered in a relaxed setting.